The 2 story executive style Villa has 4 bedrooms 3 bathrooms, ensuring plenty of individual living space. The villa overlooks a conservation woodland nature reserve and the private pool, spa and extensive deck area is not overlooked by other properties from the rear. The entire house is air-conditioned and tastefully decorated with TV's throughout, with a family room-sitting room- formal dining area - breakfast nook fitted kitchen and loaded games room. 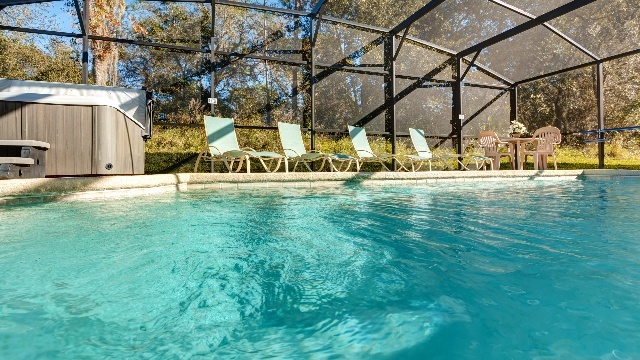 with its own private heated swimming pool. 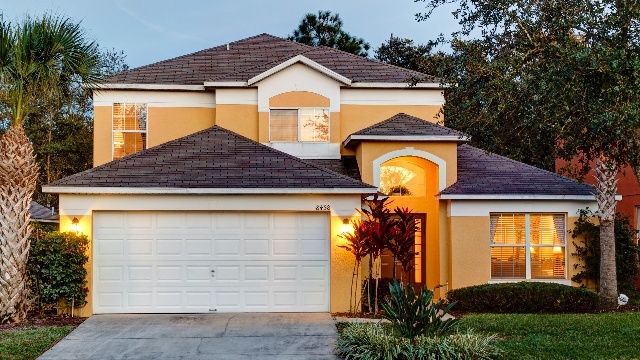 Our beautiful Florida holiday home with private pool, is set in the peaceful and tranquil location of Emerald Island Resort a gated community. Respuesta de George (FloridaBestVillas) used google translate: Nice house, very comfortable, spacious and comfortable for 8 people, super clean. The customer service very attentive.